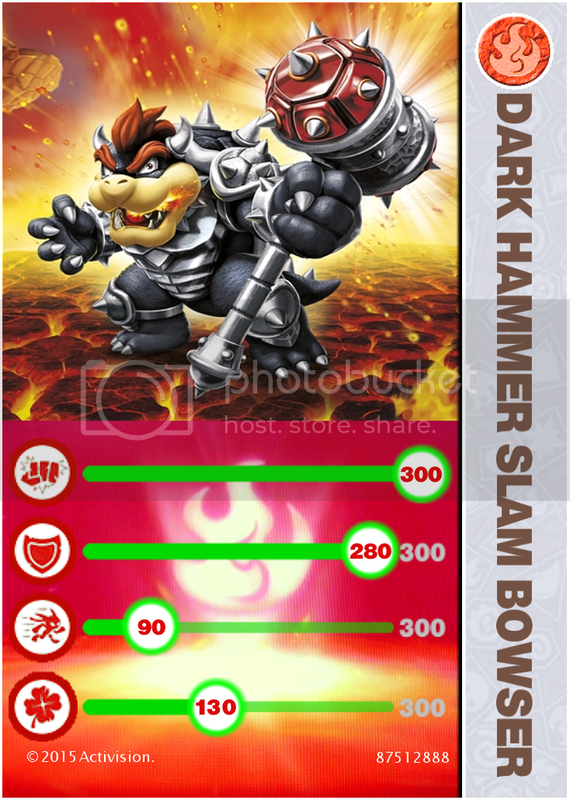 darkSpyro - Spyro and Skylanders Forum - Fandom - Do to No Cards...I'm making my own SuperChargers Cards. 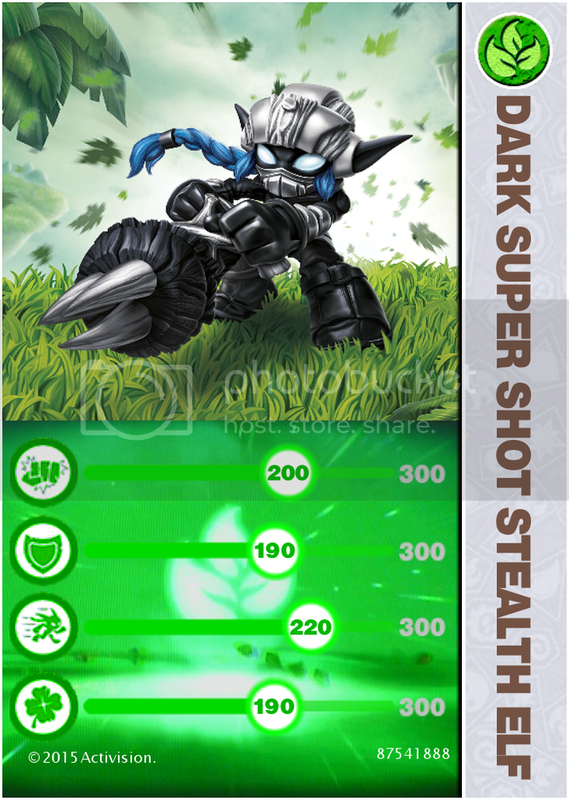 darkSpyro - Spyro and Skylanders Forum > Fandom > Do to No Cards...I'm making my own SuperChargers Cards. 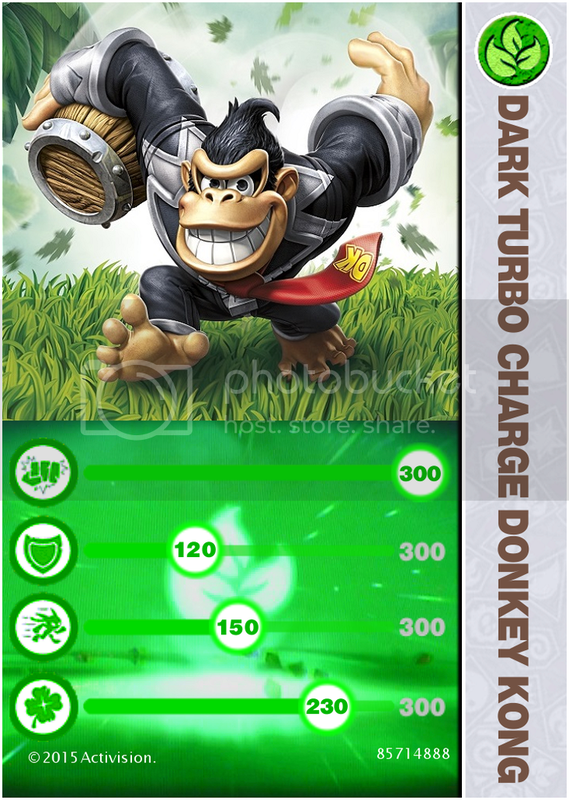 Do to No Cards...I'm making my own SuperChargers Cards. 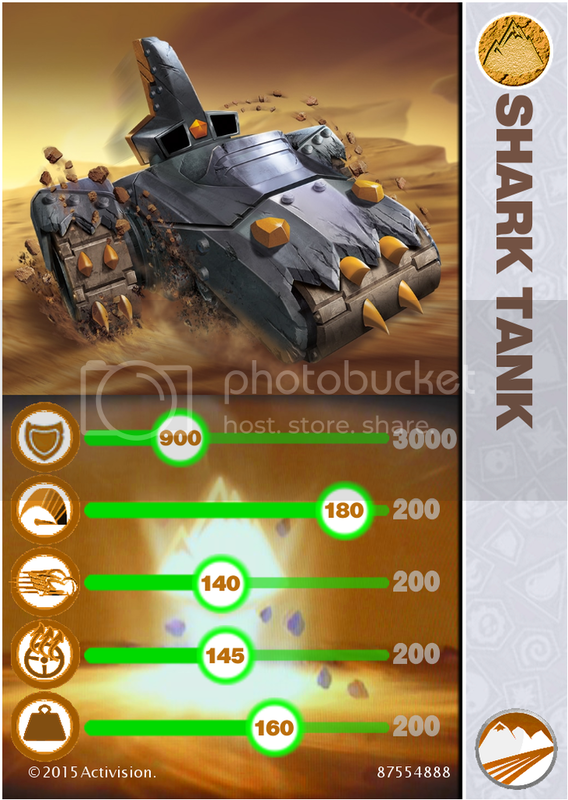 Finally got the templates done...and started making the cards...here is the first one. I will need to get the Stats from the stickers as i get them...also the Model Numbers to make more. Working on the Darks first...then will do the others. 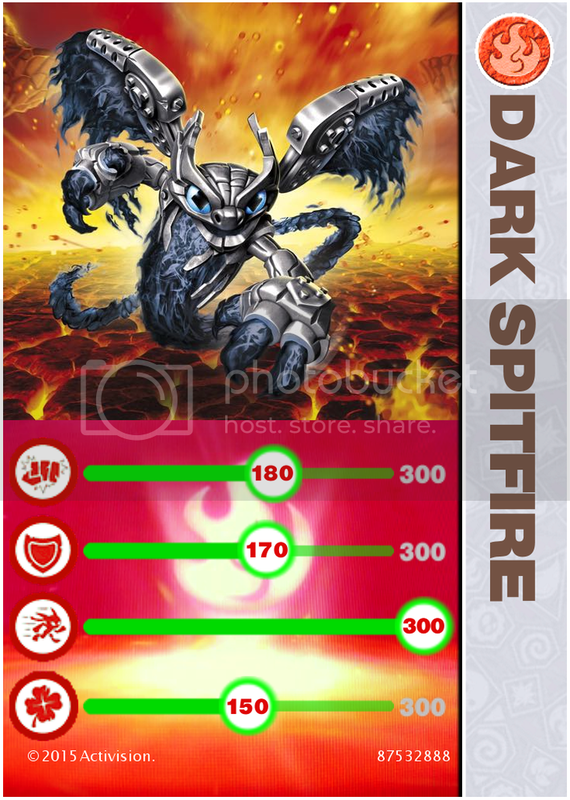 Well here is the first Card ...Dark Spitfire. Got work, so won't get to many posted till my day off. Oooh,it looks pretty - but if you don't mind the critique,don't the cards have rounded edges? 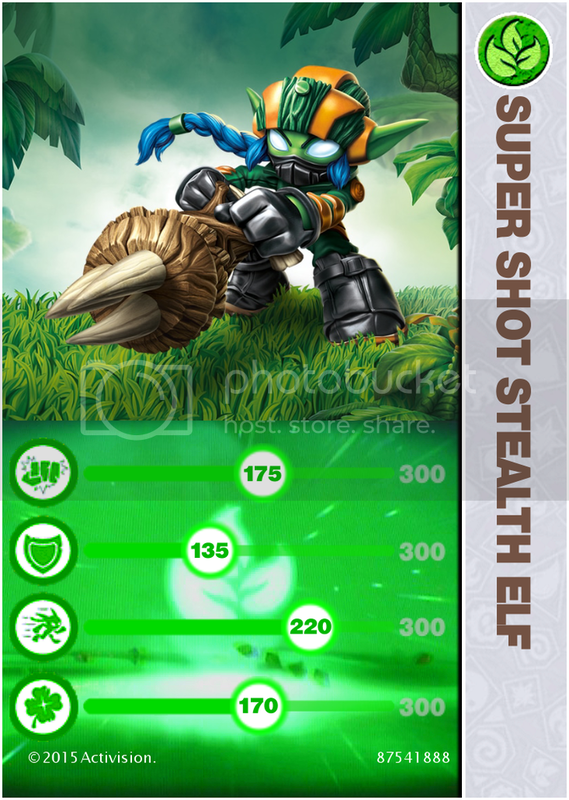 And next....Dark Super Shot Stealth Elf. Looking really nice, but in the Life backgound the bars disappear a bit. Thanks...yeah i know...the stats bars are the same color as the ones on the official cards. Tried darking the backgorund...and it didn't look good to me. Besides you can see the stat numbers, thats all that matters...lol. 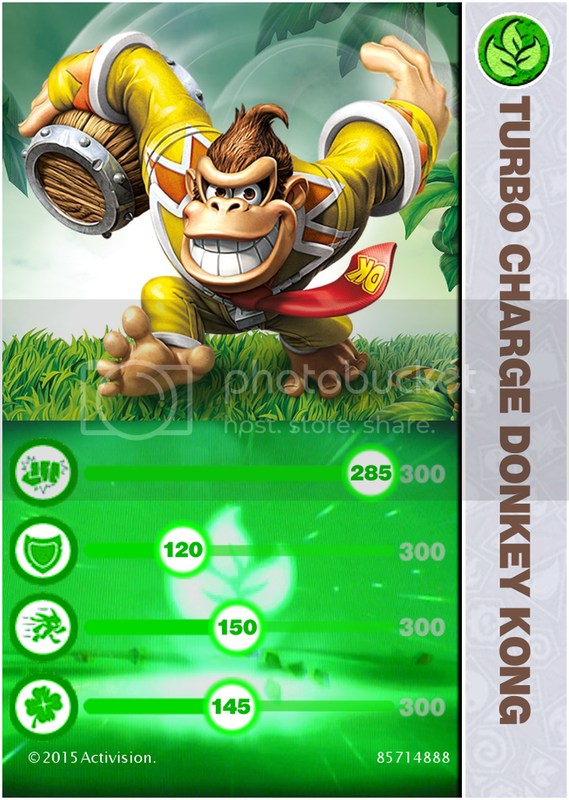 Next....Dark Turbo Charge Donkey Kong. Didn't realize how much I missed the inclusion of cards until I saw these. Great work! You know you have an addiction when you spend money on it that is normally saved for your other addictions. 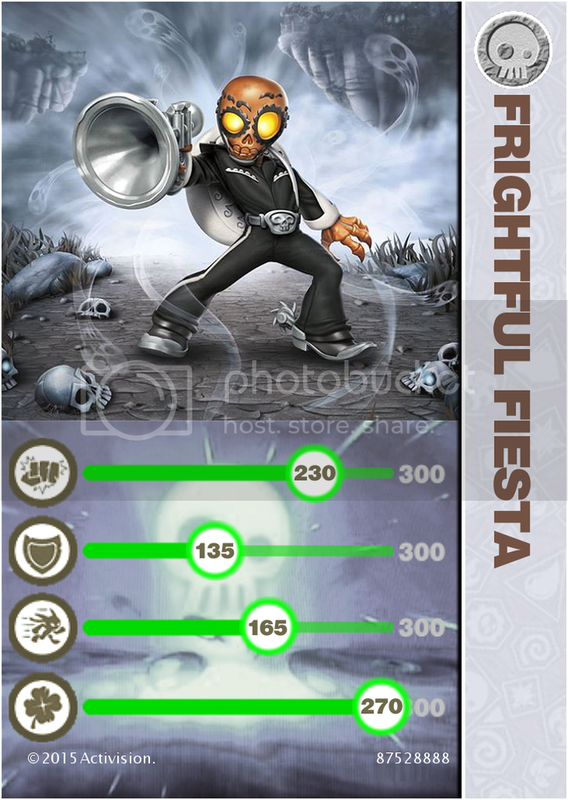 And...Frightful Fiesta. Interesting that there Model Number's are the same. 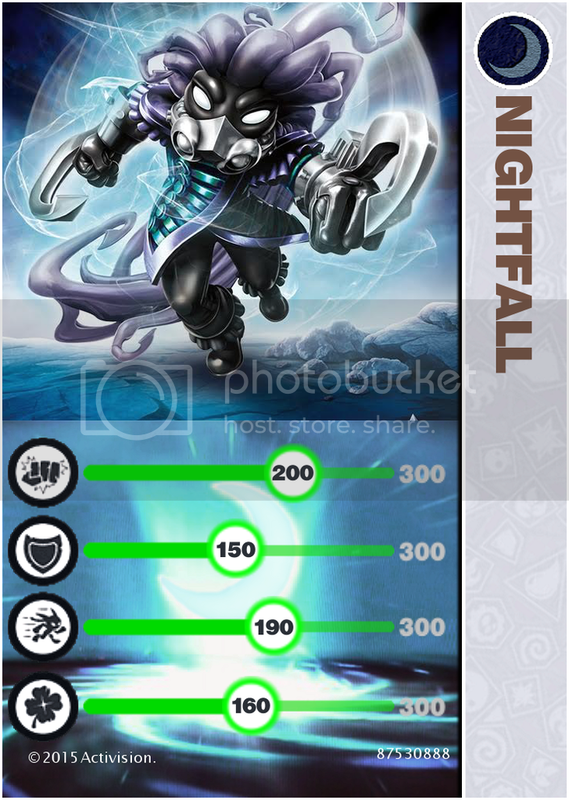 Can you do Nightfall and Astroblast? 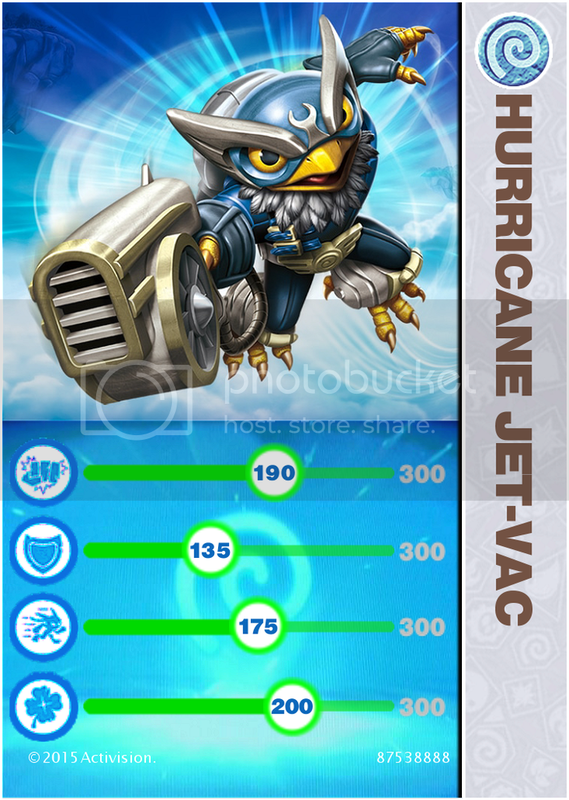 Professor Jet-Vac? I don’t feel so good. 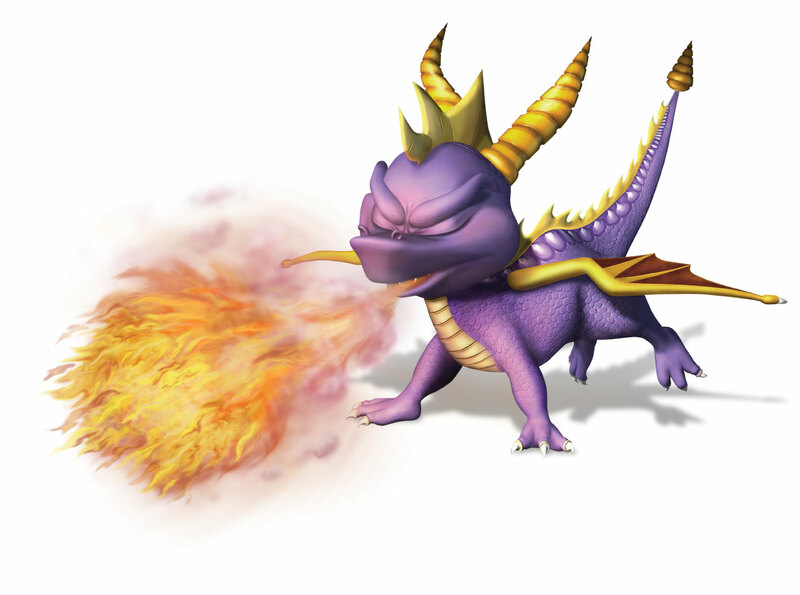 Sure...one problem tho(well actuarially two)...i can get the stats off the Skylanders web site for Nightfall. But I don't have the stats to Astroblast yet because i don't have the figure yet...and since i don't have the figure, i don't know what his(much less her) Model No. is....because i put there Model Number in the bottom corner. 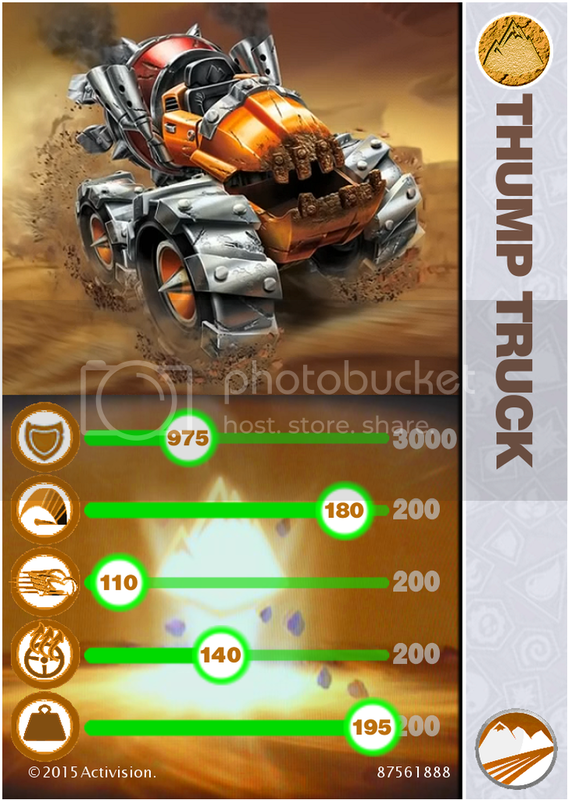 And DAWNOFWAR i'm working on the vehicles cards. 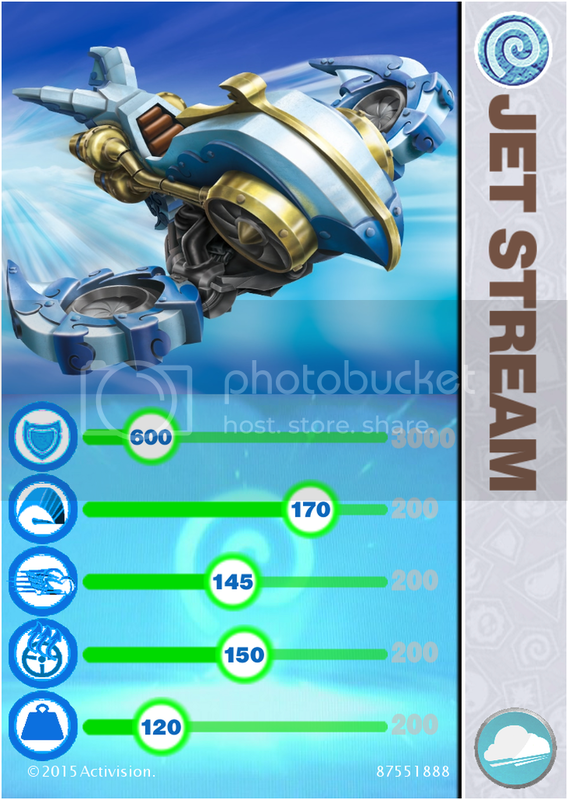 Can someone please make the back of these cards as well plz! These look amazing! Kudos Phoenix! Ahhh...Opps. Froo-got to upload it...my bad...sorry about that Pokypro. 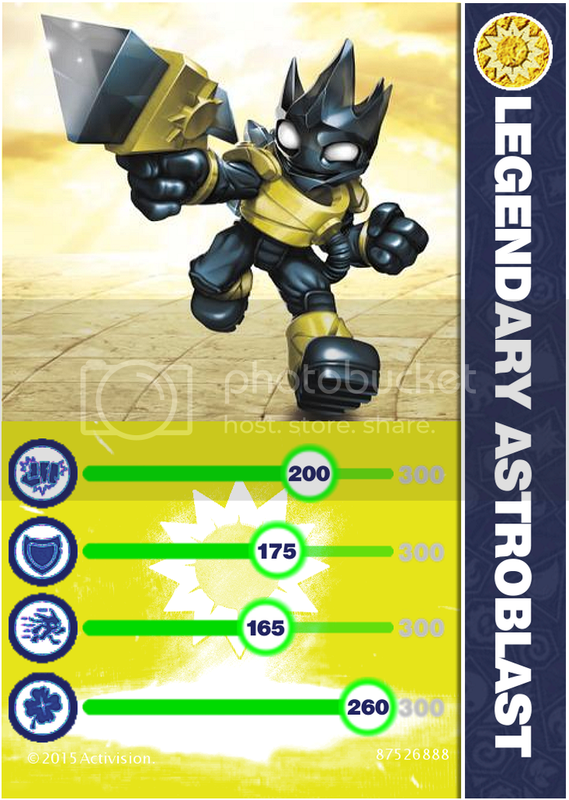 Also Luminous35...those are the stats for the Legendary Astroblast. And i'm working on him. 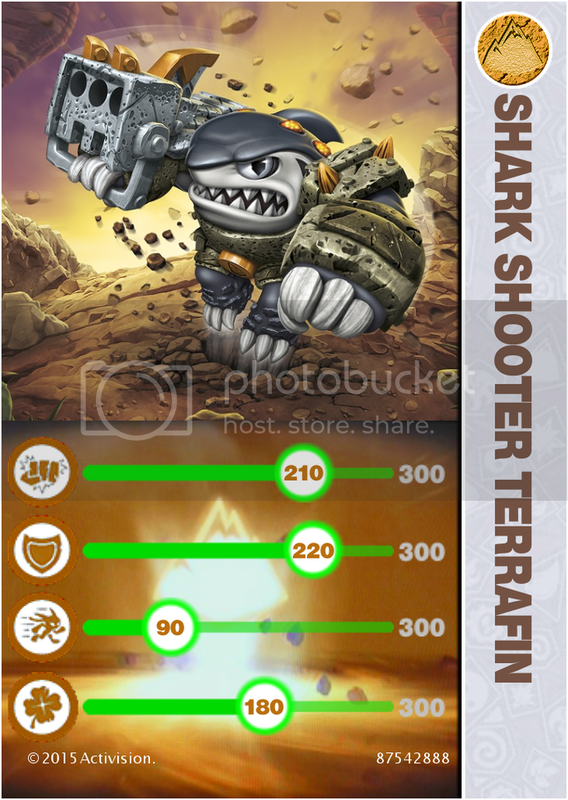 Are Legendary and Normal the same? 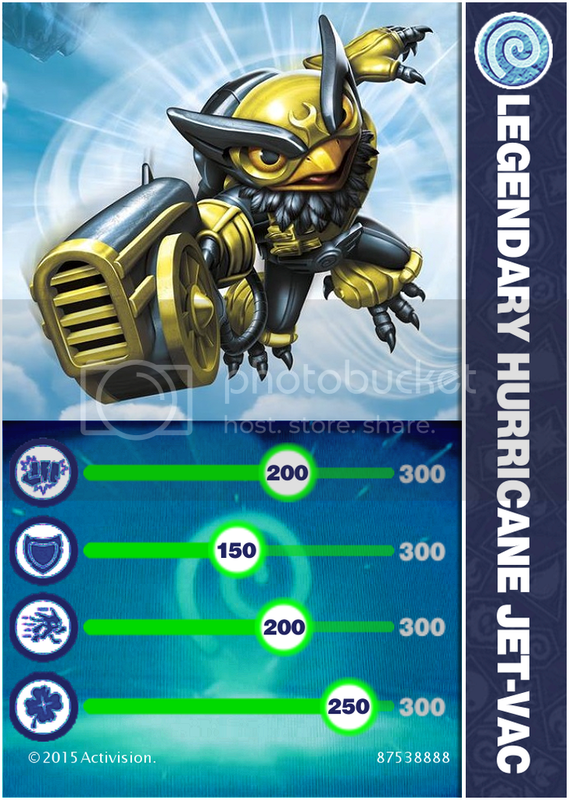 No ...Legendary's are stronger...well a little. Matter a fact...i finally finished them both....here they are. Wow, P_L, those are fantastic! Great job! Broken? ...working just fine for me....and i see it in the post as well. These are amazing Phoenix_Lord, Thanks so much for your efforts on this. I was also truly saddened that the cards were unavailable. So glad some one came to the rescue. Thanks for being a bad***. It's greatly appreciated. Your cards are great. 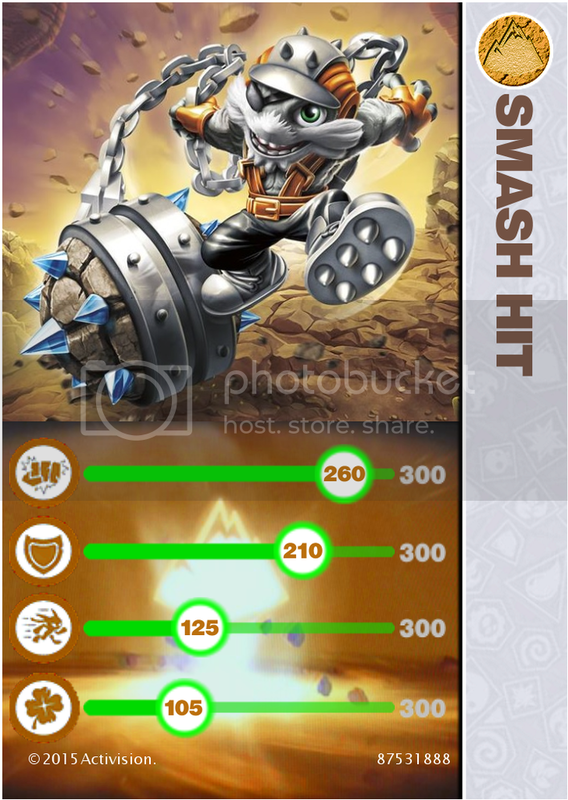 Just as a suggestion, I think that it's better to use a different background for the stats part. Oh I see it now, Looks really nice! These are great, they must have taken ages to make up. Sorry guys....been...lets just say occupied. 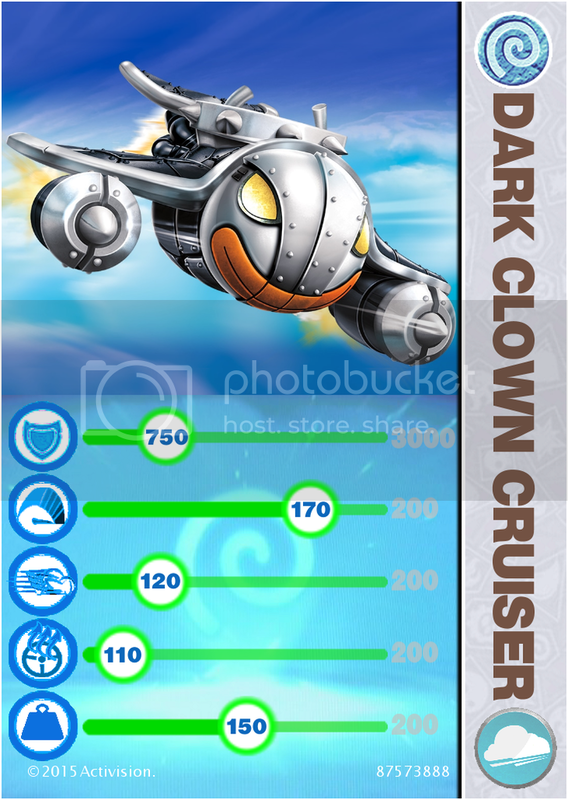 Been working on the Vehical Cards. Should post more this weekend. 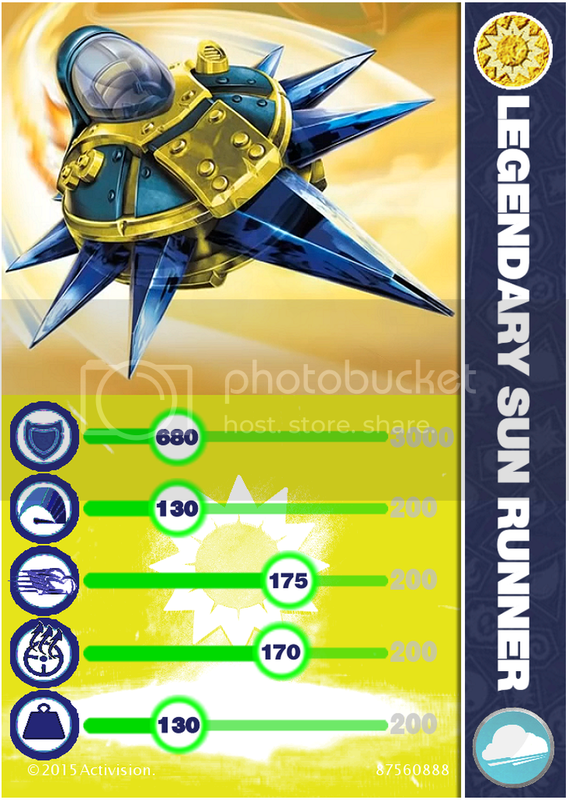 First Vehical Card...Legendary Sun Runner. 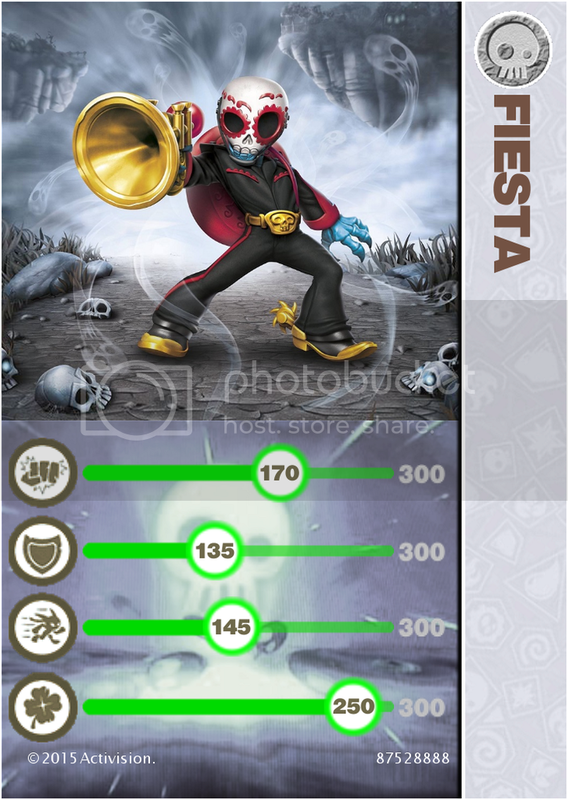 Edit: After looking at all my other Official Cards...none are odd numbers(xx2, xx6, xx7)....all are in increments of 5. So had to fix these first 2 Vehical Cards. Sorry to those that have allrerady printed these 2 ...not say'in you have to trash those an print these...there your cards, have witch ones you want. 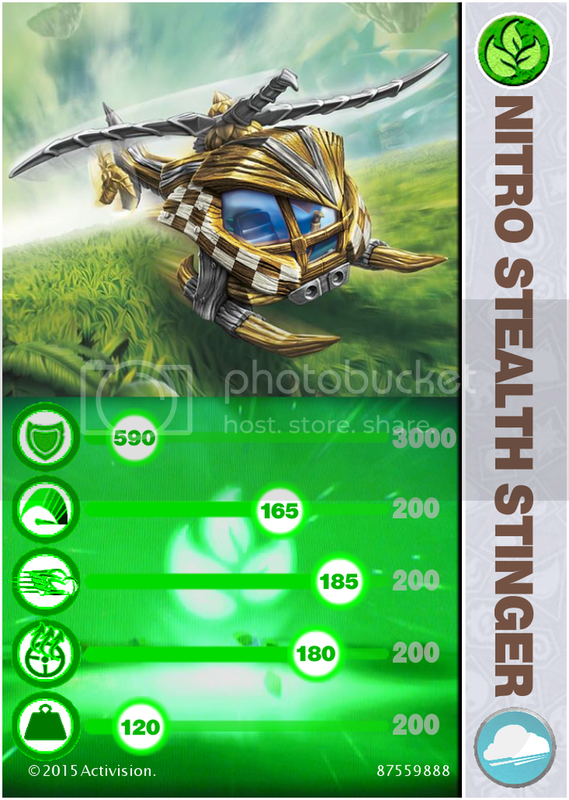 Here are the next Vehical Cards. ...your welcome DawnofWar. Also adding this to those out there(surprised i haven't been yelled at for it yet)on the "gimmick" being in color, not black an white like it's spose to be...from what i was told on another thread. 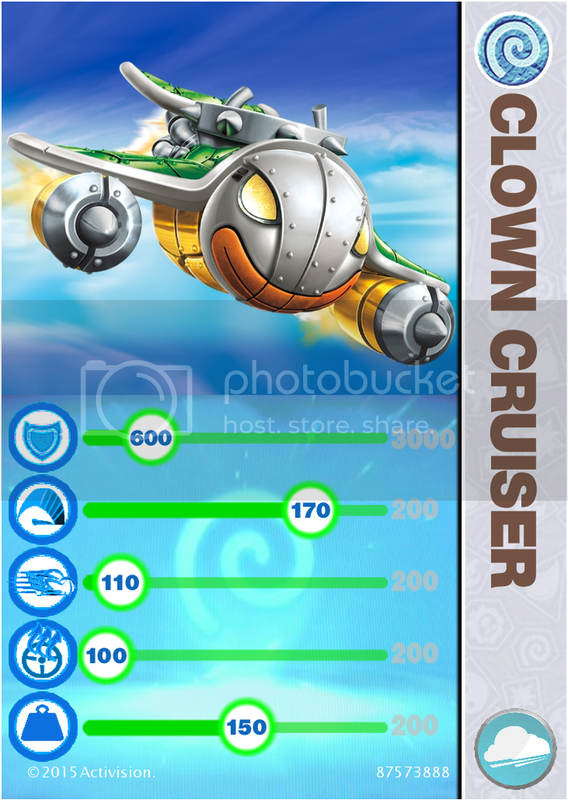 My responce to this... is this game has no "gimmicklanders" this time, you can't complete the game without the Land Vehical...(as you know the Sea an Sky are optional paths...you don't have to do them). 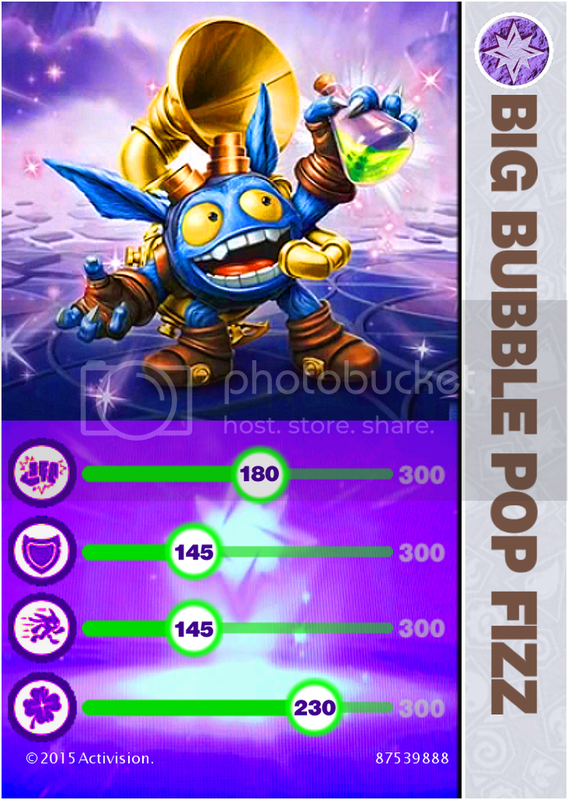 All previous games you could complete with out useing said "Gimmicklander"...Giant, Swapper, Trap Master...you can't even get past the first chapter "Skylands in Chains" without using the starter pack's Land Vehical. You work is good. Just a note: I think that you need to put the SuperChargers symbol in the SuperChargers cards. 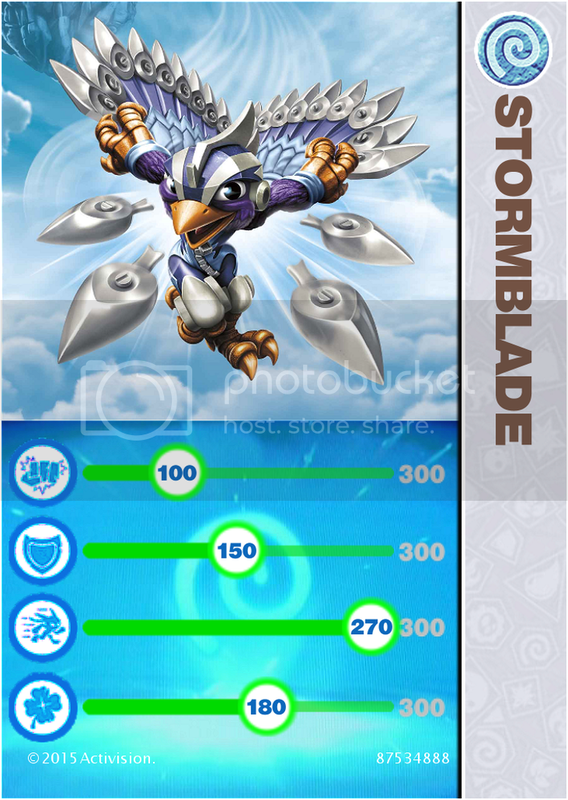 Since they're a specific class of Skylanders, it's good to put their symbol, like other special class Skylanders. You have a point...but since there are no core figures...the SuperChargers symbol is not needed. Not to mech'in all the members that have printed there own so far....i'm not wanting them to waste ink reprinting them. 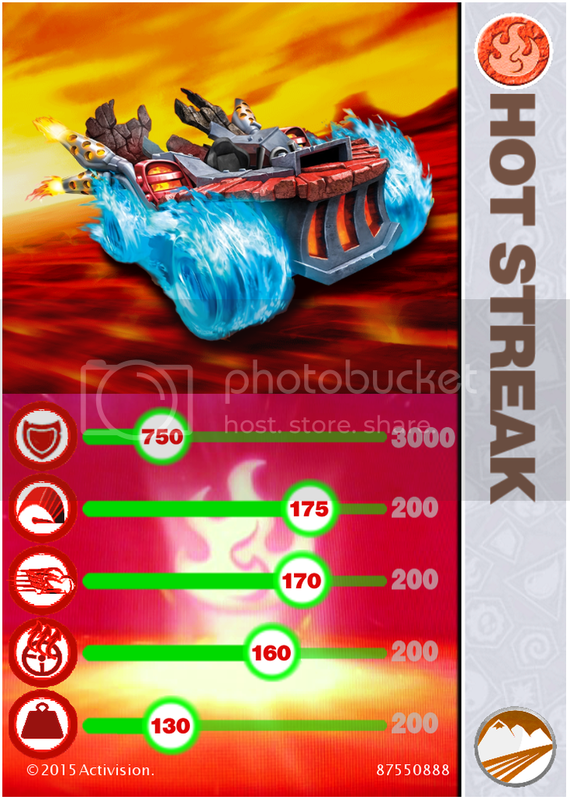 Here are the first 2 Hot Streak....(why is there 5? )...oh well. Thanks for the post on your YouTube DawnofWar....very kind of you. 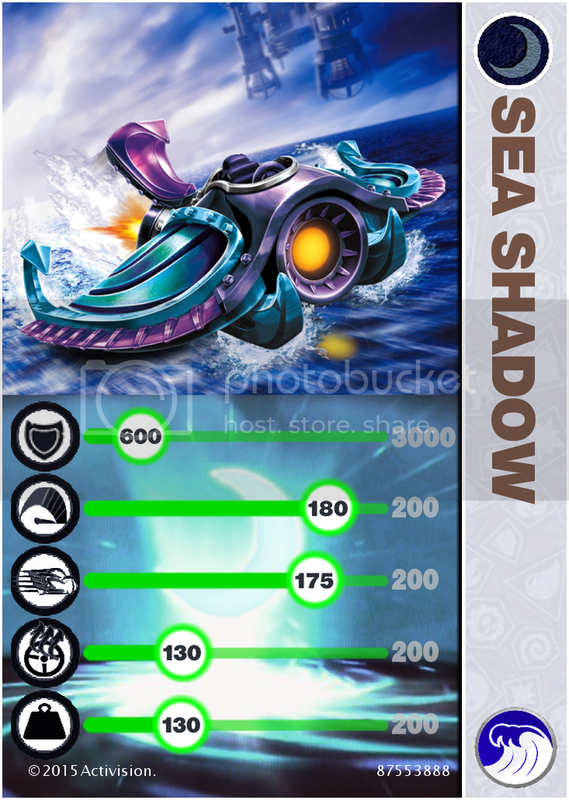 Last the Dark Sea Shadow. 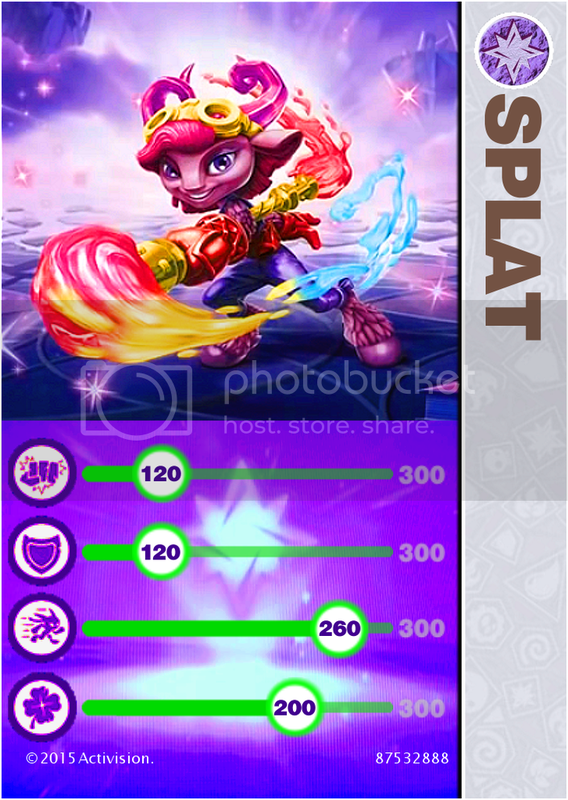 Wow, great job on these cards, they look really nice! Keep it up! Thanks Sboy13 ...sorry it's been so long since i posted more cards. 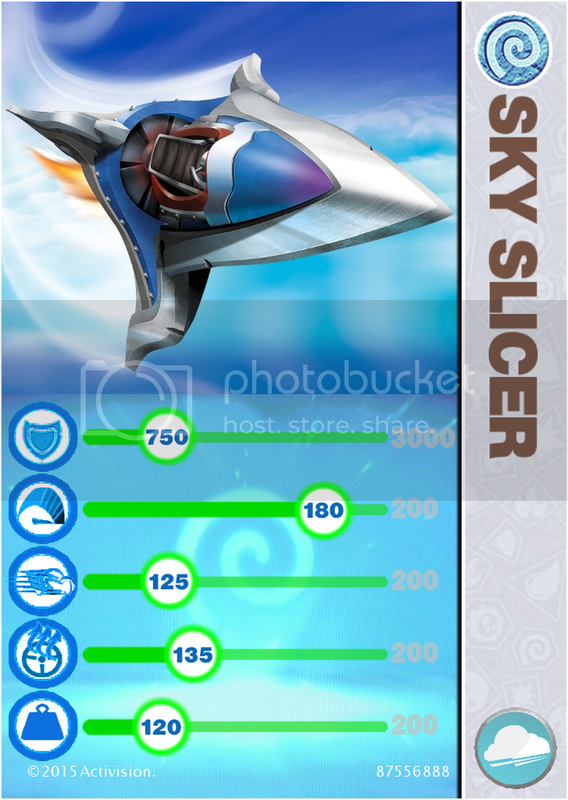 First Sky Slicer....and the rest of the Air's. 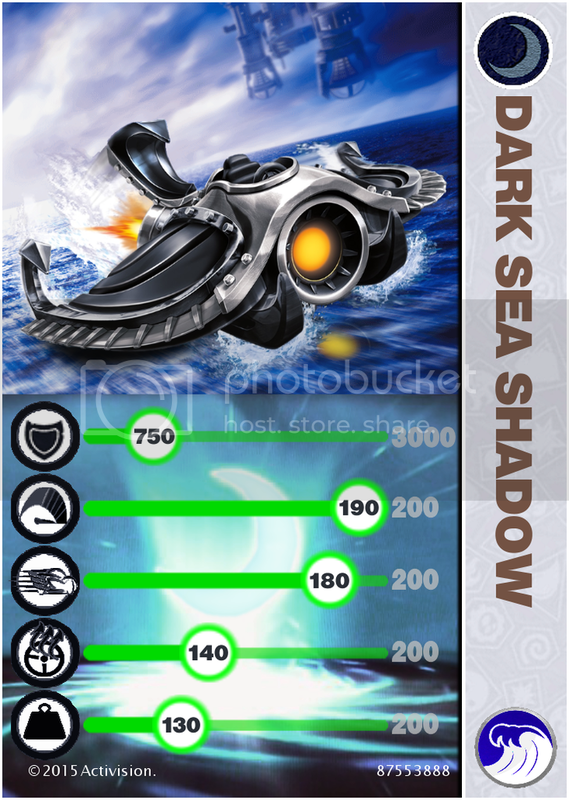 Not sure about how much i should raise the stats on the Dark's. 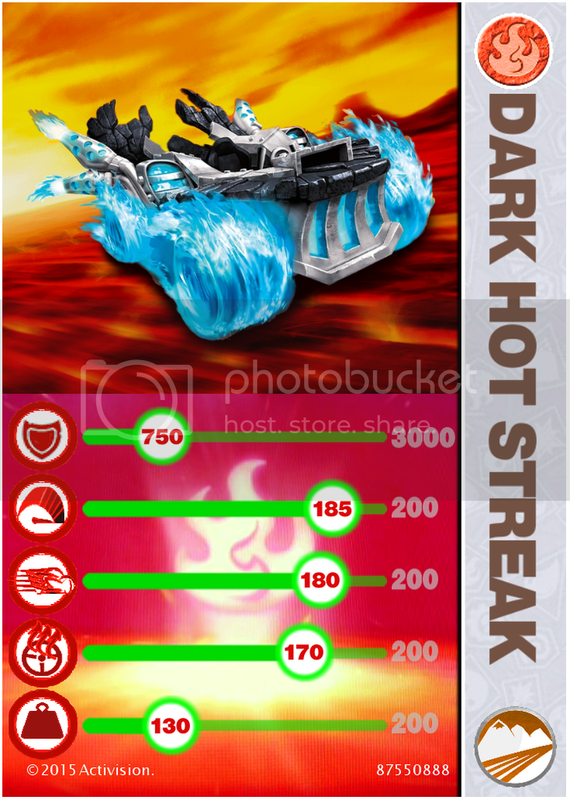 Sure wish they posted the stat numbers for the vehicles like they did the figures. Now its time for the Magic's. First up is SPLAT! ....*wipes paint off face* REALY?!? ...COME ON! Again thanks so much Phoenix_Lord for your efforts on this project. Dude those are some really nice cards! Wish I had thought of this! I'm a recent convert to Skylandering and I LOVE it! I'm doing a SUPERCHARGERS LP! I also do UnBoxing videos!